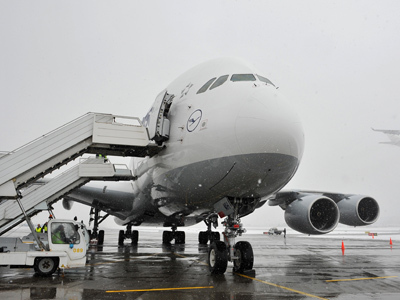 A deal to set up a European rival to American giant Boeing Co. has collapsed. Germany, France and the UK - shareholders in Europe's top aerospace company EADS and the continent’s biggest defense contractor BAE Systems - failed to come to terms. The companies said they had “decided to terminate their discussions” over the proposed $45bln tie-up because of conflicting interests between the British, French and German governments. 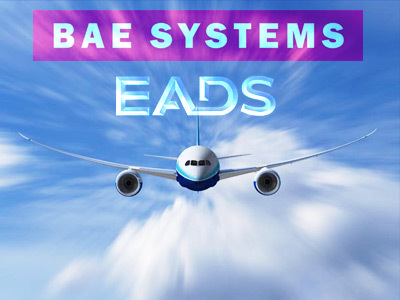 “It has become clear that the interests of the parties' government stakeholders cannot be adequately reconciled with each other or with the objectives that BAE Systems and EADS established for the merger,” the companies said in a statement. The idea to merge the two European giants was born a decade ago, with analysts and investors skeptical about its success. Among the major concerns was the scale and location of any job cuts. Also, there were worries about the effects such a merger could do to the delicate balance Germany and France have achieved in EADS after years of bickering. The British government was wary about how the prospective deal would affect BAE's dealings with the US, as well as the scale of the involvement of other governments in the combined entity's affairs. If the new entity was perceived as state-owned, it could affect its ability to vie for contracts in the US and Asia. The deal also didn't sit well with French conglomerate Lagardere, which owns a 7.5% stake in EADS. The company’s CEO, who is also chairman of EADS, said earlier this month that the merger did not create value. Tom Enders, the chief executive of EADS, and his counterpart at BAE, Ian King, both expressed disappointment at the outcome.“It is, of course, a pity we didn't succeed but I'm glad we tried,” Enders said. Analysts believe that the collapse of the merger would leave BAE more vulnerable in the face of major cuts in US and UK defense spending. That's not the case for EADS, which is expected to continue to have a good revenue stream from its commercial aircraft businesses. BAE will have to “evolve its business model to be effective in a different climate in the future, that's a challenge for the management team going forward,” British Defense Secretary Philip Hammond admitted. Market reaction proved the assumption, as EADS shares rose on the news the merger was off, closing 5.3% higher in Paris. BAE shares ended 1.4% lower in London. The companies confirmed the end of their discussions just hours before a deadline on whether to go ahead with the merger, ask for more time, or call it off.